*2 years warranty and CE Approved. *Drainage bottle is facility to move and disinfect,without any lubricated oil motor. *All functions contains in one small movable case, such as air supply, water supply, suction and drainage. 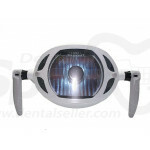 *Attractive appearance, small size, lower noise, multi-function, light weight, easy operation and durable. *High quality motor with steady performance, solid box to ensure anti-fall, service time exceeds 20,000 hours. *Applications: Dental Hospital, Dental Clinics, Army and Outdoor Dental Care or Treatment Establishment. 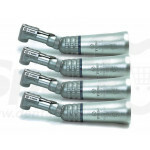 * This item did not include two high and low speed handpiece,but included two handpiece tubing. 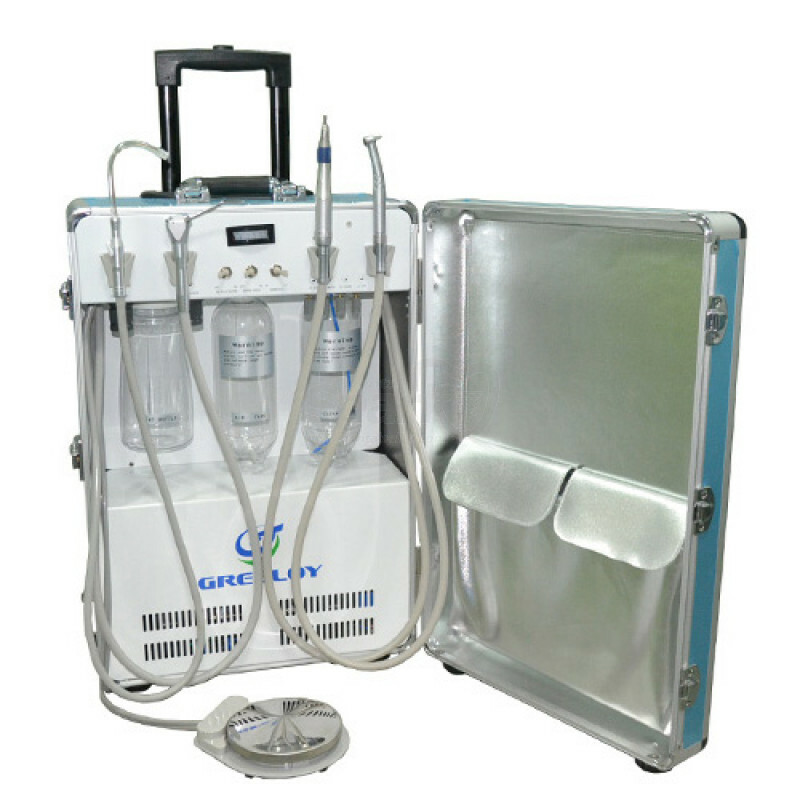 *If you want to buy more than 10 pcs portable dental delivery unit,please contact with us , you will get the dealer's price,The more quantity will get better price. 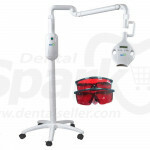 *We will match the plug of portable dental delivery unit to you according to your country.